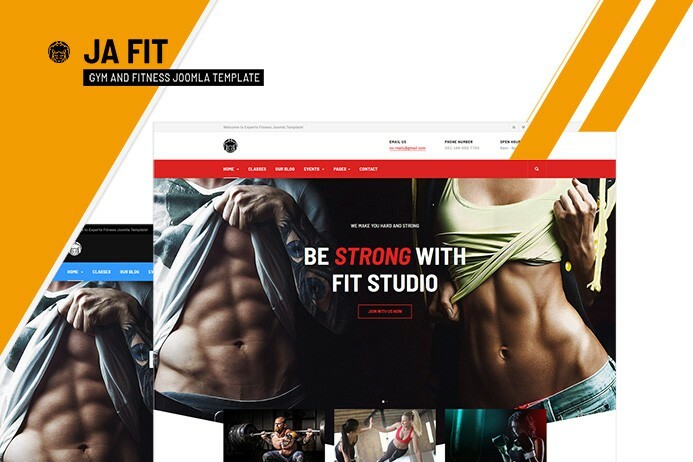 JA Fit - The best Joomla template for gym and fitness websites is available for download. In this blog post, we will review core features with the screenshot of the template. The template supports 5 themes colour and flexible layout with a number of pre-made pages like classes, blog and eventsand fully supports the powerful Joomla event registration extension: DT Register to build class schedule, event, event calendar pages.